The final few days before Christmas can be frantic. Gifts must be found, holiday meals must be cooked, and then there’s the issue of trying to get packages shipped to loved ones who live elsewhere. We at the Saratoga Farmers’ Market invite you to relax. 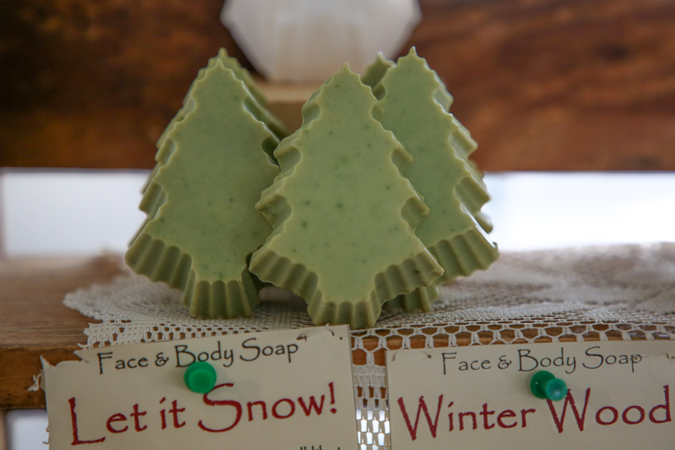 Come to our market on Saturday from 9 a.m. to 1 p.m., grab a warm drink and a pastry or breakfast sandwich, and stroll through the wide variety of specialty foods products, locally made jewelry and artwork, and delicious farm fresh foods, all under one roof at the Lincoln Baths Building. 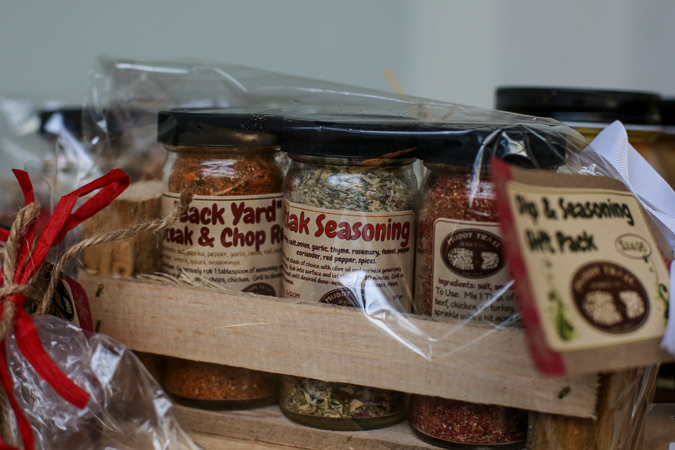 They are filled with an array of artworks, foods, and other gift items homegrown or homemade to fill a variety of needs. Artisanal treats. Head upstairs to the second floor for cured meats, hand-cut pastas, handcrafted jewelry, and journals. 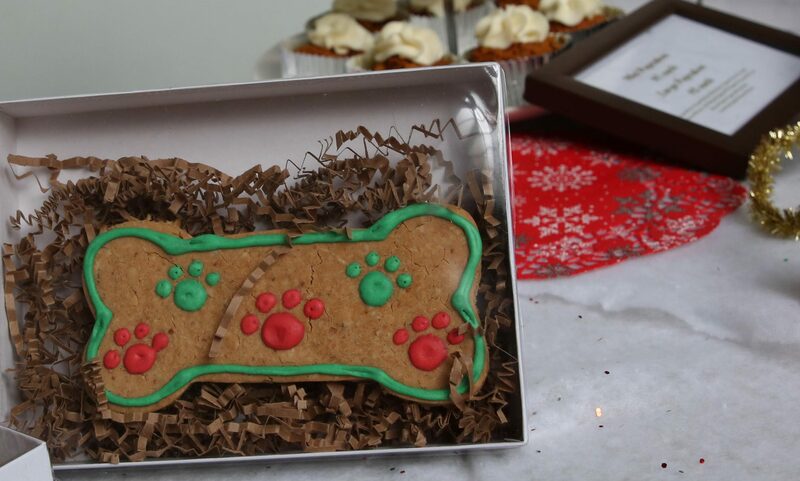 If there’s a dog in the family, consider a gift box from Mugzy’s Barkery which features a sampler of their dog treats. Terra Sage Gourmet also offers a healthy vegetarian dog food. Also on the second floor are first-year agricultural vendors offering such produce as mushrooms, chicken, dried beans, and nutrient dense microgreens. A spirited sample. Walk to the end of the second floor, and head downstairs. 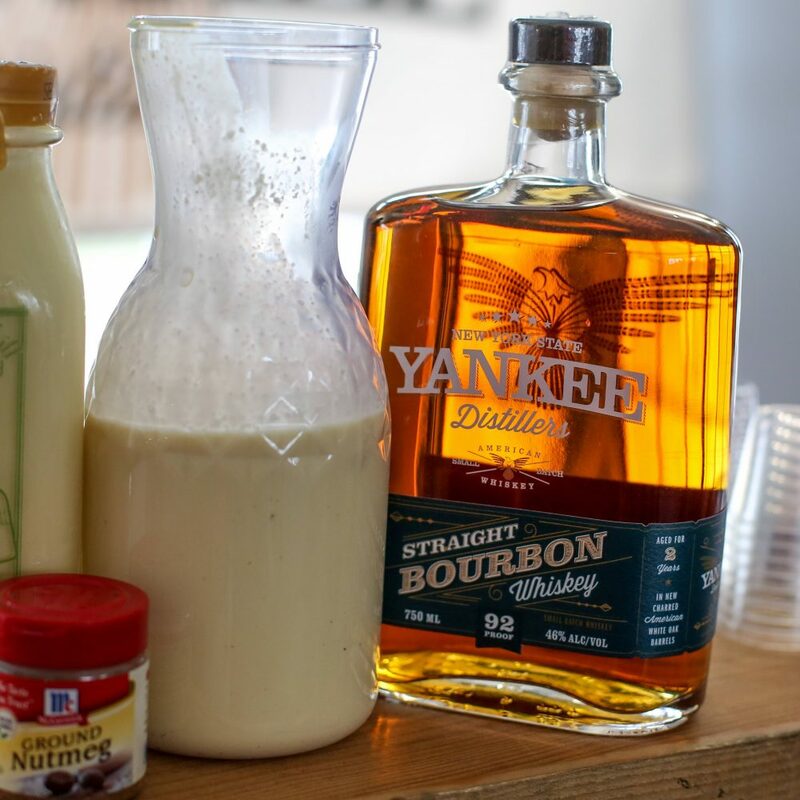 Stop and sample bourbon-infused eggnog, made with Battenkill Valley Creamery’s award winning eggnog and Yankee Distillers’ bourbon. Both items are available from their respective makers at the far end of the market’s first floor. Sweets to ship. In the main market, you’ll find produce, meats, jams, chocolates, cheeses, peanut butter, and hummus. Many of these items are suitable for shipping, and Slate Valley Farms makes the job easy. They offer a gift box of honey, maple syrup and maple treats in a Priority Mail package that Slate Valley’s Gina Imbimbo will send for you. Other gift boxes. Head the front end. 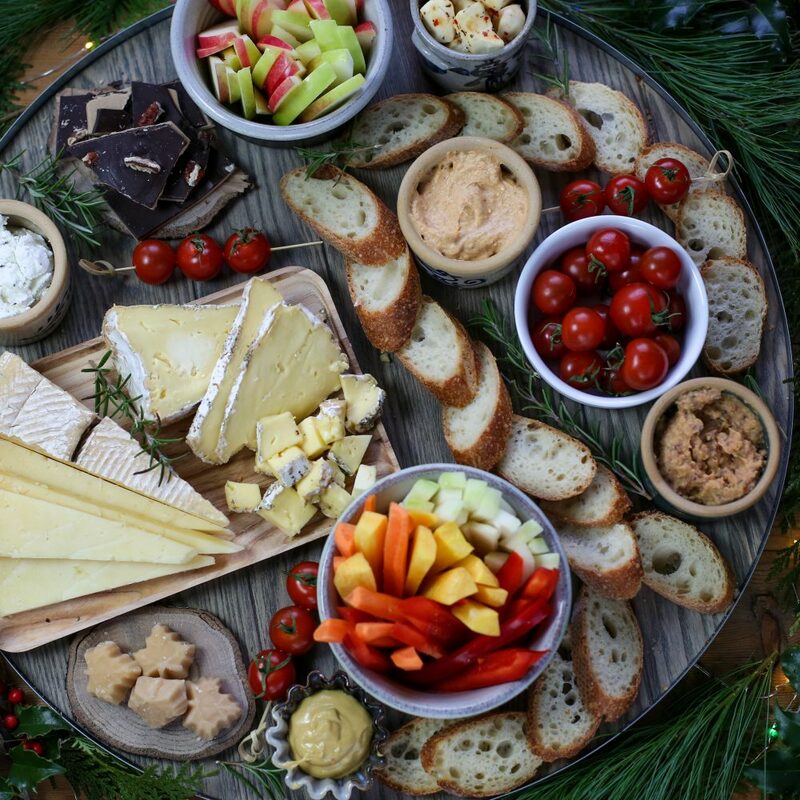 You’ll find cheese samplers, peanut butters, and mushroom teas from Argyle Cheese Farmer, Saratoga Peanut Butter, and Mariaville Mushroom Men respectively. And, if you like creating your own gift packages, stop by Kokinda Farms and pick up a wicker basket from Laurie Kokinda. Choose a jar of jam and walk through the market again, filling the basket with your favorites. The Saratoga Farmers Market is 9 a.m.-1 p.m. Saturdays at the Lincoln Baths Building in the Saratoga Spa State Park. Follow us on Twitter, Facebook, Instagram, and on the FreshFoodNY app.